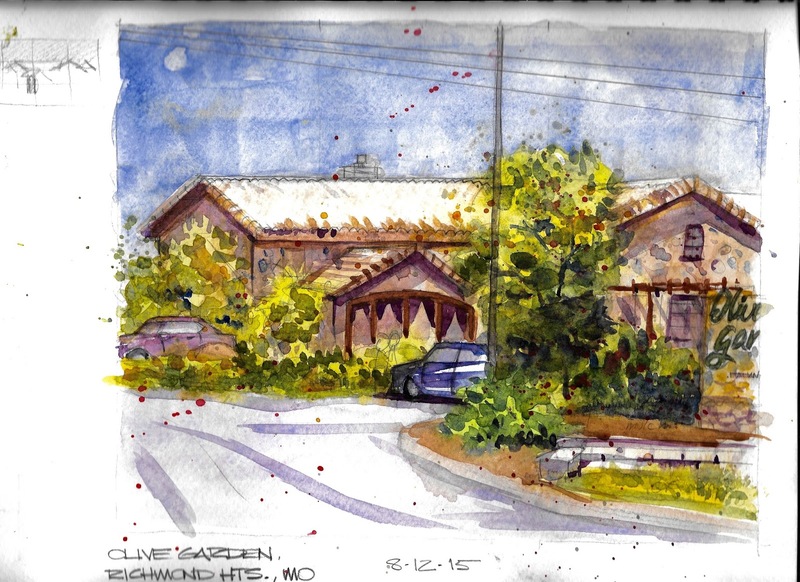 9" x 12" (23 x 30 cm) Sketched on location in Richmond Heights, Missouri. I sketched this scene during lunch while sitting in my car in a parking lot across the street from the restaurant. The weather was warm but, with the windows down, there was enough of a breeze to keep things comfortable.